Please note: in order to offer free shipping I have put these mints in a set of 50. However, I sell these mints for 80 cents each. So feel free to send me a message for the amount you want and I will adjust the listing. 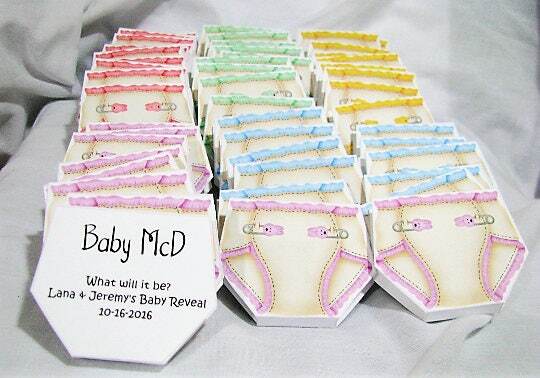 Use our diaper life saver mint books for announce "mints" of your little one arriving. Or at your baby shower! They are cute and fun to have at any party or event. 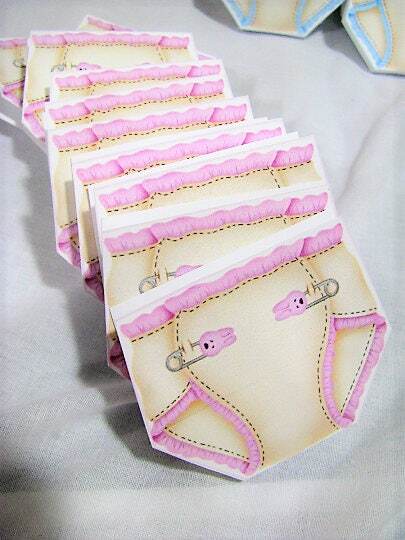 They are a cute yet inexpensive way for anyone in the family to brag about the new addition. Note: these are great with other candy such as Dove chocolate or Bliss. Prices would be slightly higher. If you would prefer the chocolates, please send me an email. Please send me a message with the amount you would like and I customize the listing and shipping price. The back has room and I can customize it with your name such as "Cindy's baby shower" or "We have an announce "mint"-- we are having a girl. Due 6/12/2014"
Or "Baby Jones Born 6/24/2014 Proud parents: Mr and Mrs. Jones"